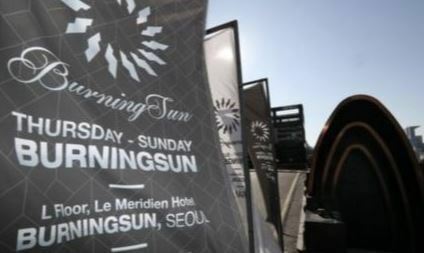 Amid new allegations and findings surrounding Gangnam-based nightclub Burning Sun, the Seoul Metropolitan Police Agency said Wednesday a suspect surnamed Lee, who had reportedly been working with a former police officer, admitted to transferring money to police officers. Police confirmed Lee had transferred 20 million won ($17,900) received from the Burning Sun head to six accounts, though it is unclear whether any of the accounts belonged to a current police officer. Lee, a known member of an organized crime syndicate, had previously testified to having delivered 2.3 million won to two current police offers upon orders from a former police officer at Gangnam Station surnamed Kang. Lee added that the delivery took place in his car last August in the presence of Kang. Kang, who is currently a board member of a cosmetics company, is suspected of having functioned as the link between police and Burning Sun. Investigation into the Burning Sun scandal is expected to speed up, with police expected to question Burning Sun head Lee Mun-ho and a man surnamed Han who ran the club as suspects in the coming days. On Tuesday, police raided the homes of Lee Mun-ho and Han over allegations of drug use and distribution, and seized evidence. Police earlier questioned the two men three times as witnesses. A urinalysis and hair sample from Lee Mun-ho reportedly tested positive for drugs, while police are reported to have found evidence linking Han to use of hallucinatory drugs. The son-in-law of conservative politician Kim Moo-sung was also found to have purchased drugs from a Burning Sun employee who has been arrested for drug use. In 2015, Kim’s son-in-law, surnamed Lee, was sentenced to three years in jail, suspended for four years, for drug use.